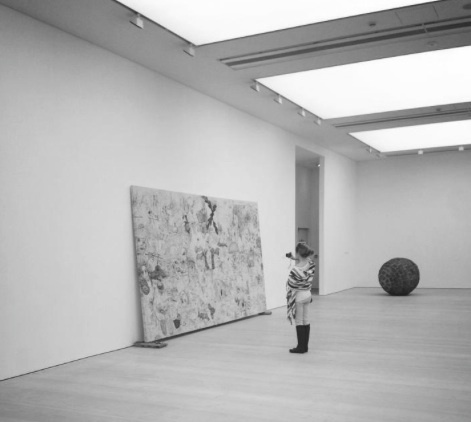 Saatchi Gallery is a museum that doesn’t feel like one. Coming off the tube stop at Sloan Square, we headed past an avenue of brick town homes with pointed spires reminiscent of the early 1900s. On the front lawn of the gallery, a team of young boys partook in a game of cricket. I laughed at how odd this game seemed and how early these kids must have picked up the sport. I loved how the mix of sport and art made the Saatchi Gallery more than a set of exhibits but a true neighborhood hangout. Inside was a collection of contemporary pieces ranging from oils to ceiling-high installations. Designed by Allford Hall Monaghan Morris, the building is a contemporary marvel in and of itself. We browsed past pieces by Australian native, Ben Quilty, Paul Bloodgood, Brent Wadden and many more.